In today’s era, technology is the predominant driving force of everyone’s life. It helps make our lives easier and it helps us connect with each other better. In the real estate industry, digital technology and communication are the keys to driving sales, understanding your clients, and achieving your goals. If you agree with this statement then you will definitely not want to miss REA Connect 2019. 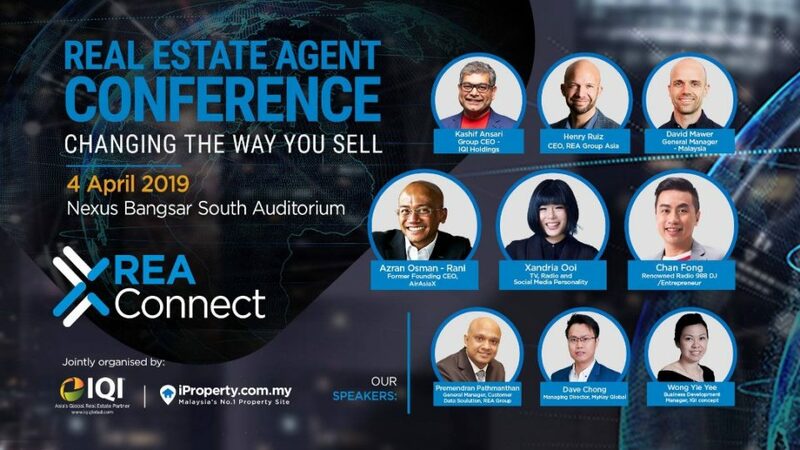 On Thursday, 4th April 2019, the Real Estate Agent Conference 2019, co-organised by IQI and iProperty, will be held at the Connexion@Nexus, Bangsar South from 8:30 am to 5:00 pm. This time around, the prestigious speakers will be showing you how you can leverage technology to change the way you sell. Implement new strategies to gain better insights and adopt new techniques for selling. Communicate with your clients and position yourself to be a client focused real estate professional. Create a professional persona that will wow prospective clients and create a lasting impression. Henry Ruiz has played a critical role in the REA Group’s long-term growth strategy, driving its growth across Asia and Australia. 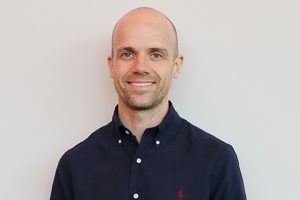 He joined the company in 2009 as a Chief Product Officer – Consumer Experiences & Product Marketing, before moving into the role of Chief Digital Officer in 2014. Thanks to his educational background in psychology, Henry Ruiz has been able to change REA groups approach to consumer behaviour with amazing results. Azran is a recognised name in consumer marketing and scaling organisations across Southeast Asia. He is currently active in internet technology as a co-founder, investor and advisor, bringing in his mass marketing and investment expertise into the real estate sector. Chan Fong began his career as a voice over talent for a Chinese TV drama group. His voice talents soon saw him becoming a popular DJ, which earned him the title, The Best Chinese DJ in 1997. Bringing more than 10 years of entrepreneurship under his belt, Chan Fong’s core focus is brand management. In 2015, Prem created and launched Brickz.my – a business that has eventually helped to build a healthier property market in Malaysia by creating awareness on property prices. Since the beginning of 2016, Prem has led the data business in iProperty. He currently leads the development of iPropertyIQ.com, where he assists agents and developers with data driven solutions across REA Asia’s markets in South East Asia. Xandria Ooi is a Malaysian TV, Radio and Social Media personality. She has built her career over the years in every corner of the Malaysian media landscape as a journalist, producer, host and speaker. She is known for her daily inspirational videos that are viewed by millions and is recognised for her ability to connect with her audiences. Dave Chong is the undisputed Top Leader in the Real Estate Industry. With a successful background as a structural engineer in the oil and gas industry, Dave brings with him a wealth of knowledge and experience in the field of business. He joined IQI in the year of 2014 as a Real Estate Negotiator and quickly became one of the Top Agents of the year. In 2015, Dave started his own team in IQI, ELITEONE. He strongly believes that when we build enough values for ourselves and for others, money will come eventually. Wong Yie Yee has a strong analytical and sales background and has years of experience in the industry. She is currently the business development manager for IQI Concept, a fast growing, and market changing design and build firm. She strives to design and create unique interiors that will have a positive impact on her clients’ lives and is responsible for spearheading the firm’s goal of further business growth and expansion. Kashif Ansari, as Group CEO of IQI, is responsible for all investment activities, global investor relationships, deal origination, corporate fundraising and business development for the group. Kashif has over 20 years of experience in the fields of investment management, corporate finance, private equity, principal financing, and real estate investment & strategy. His skills in negotiation, business planning, operations management and market research makes him the notably successful leader and executive he is today. David Mawar is a business leader who works towards delivering consistent outstanding results for the clients of REA Group. Experienced in Sales and Marketing both at the state and national levels, he is responsible for building world-class high performing teams with a focus on values, culture, and quality. David has worked consistently towards increasing market shares, creating strategic partnerships, improving advertising and public speaking. Trust us when we say, you do not want to miss this.